Elder Hall, an all-freshman residence hall on North Campus, is one of 26 undergraduate residential buildings on campus. 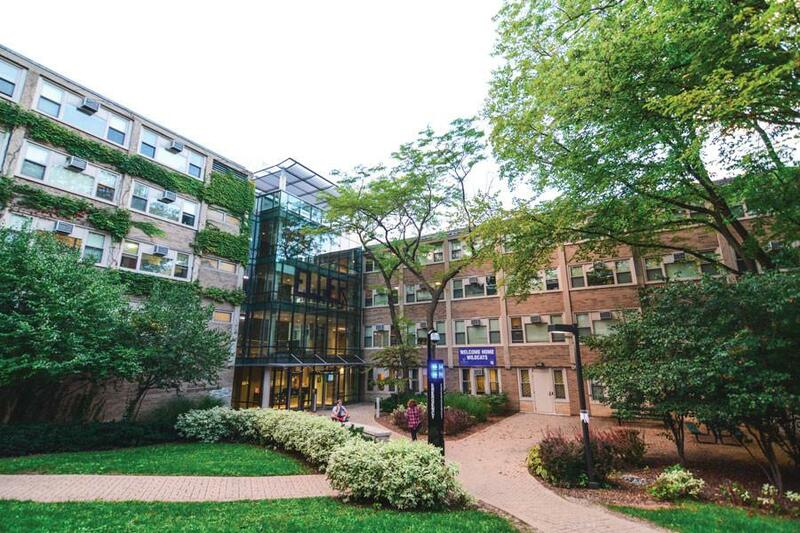 Northwestern Residential Services is changing aspects of its undergraduate housing model, including a shorter period to sign a contract with the University to live on campus next year. Beginning this year, students intending to live in on-campus housing next school year will have a shorter period of time to sign contracts with the University. Unlike last year, when students had nearly two months to contract with the University, students will only have 26 days in February 2016 to decide if they will live on campus next year. Last year, the re-contracting period started March 2, 2015, and lasted until room selection began in late April. “When students come back for winter quarter, they begin thinking about where they want to live next year, and this allows them to make those decisions earlier,” said Roger Becks, director of administrative services at Northwestern Residential Services. Aside from being moved up by a month, the room selection process has not changed, Becks said, and will take place in March and April. Jack Heider, president of the Residence Hall Association, said he hopes the more condensed timeline for re-contracting will simplify the process for on-campus housing. Residential Services is also working on making the residential college housing selection process easier, changing what was formerly a paper system to an online one, Becks said. Residents used to fill out and turn in paper forms indicating their intention to live in a residential college. The changes are two of many anticipated adjustments from Residential Services, which is examining its undergraduate residential model through its residential undergraduate experience committee, said Paul Riel, Residential Services’ executive director. The committee, which has not yet had its first meeting, will present its recommendations on what Northwestern’s housing model should look like moving forward by Fall Quarter, Riel said. Riel said the ongoing construction and renovations to University housing are reflective of a desire to make housing “more flexible,” so that when the committee comes up with a plan for NU’s residential model moving forward, the University’s housing space will be able to accommodate it.